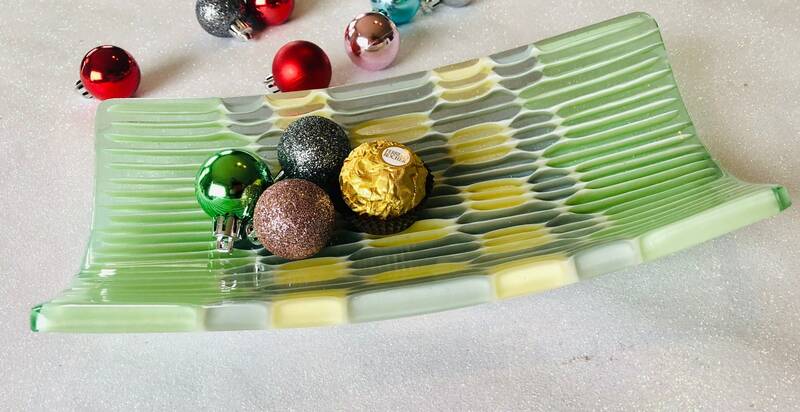 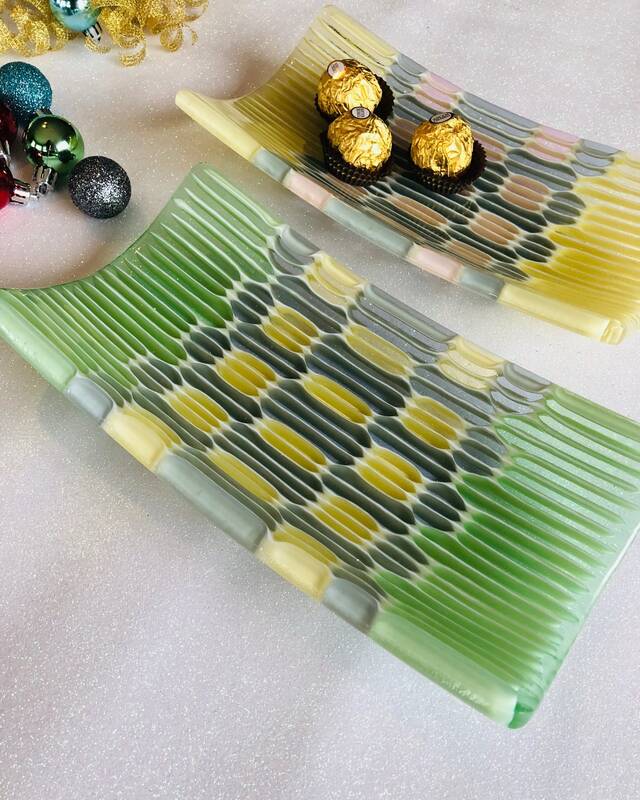 Small Honeycomb fused Glass Tray in Spring Green, Soft Yellow and Blue Grey . 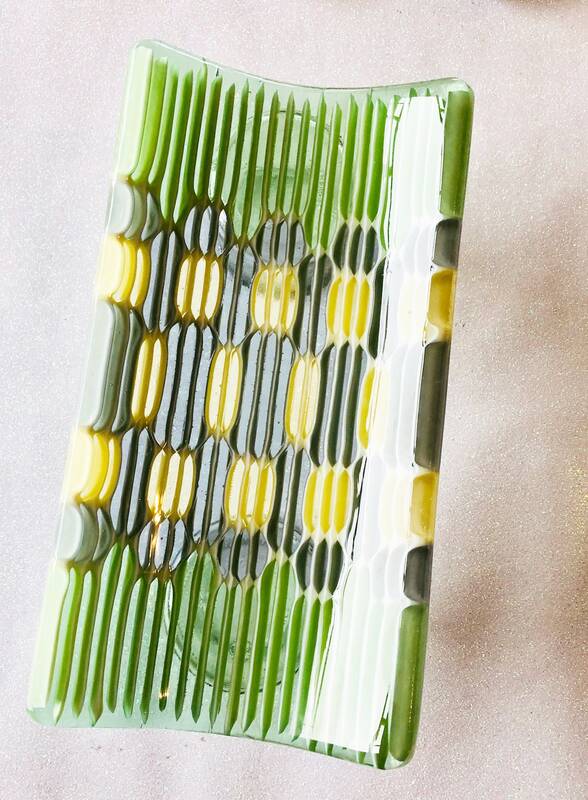 Small "Honeycomb" fused Glass Tray in Spring Green, Soft Yellow and Blue Grey . 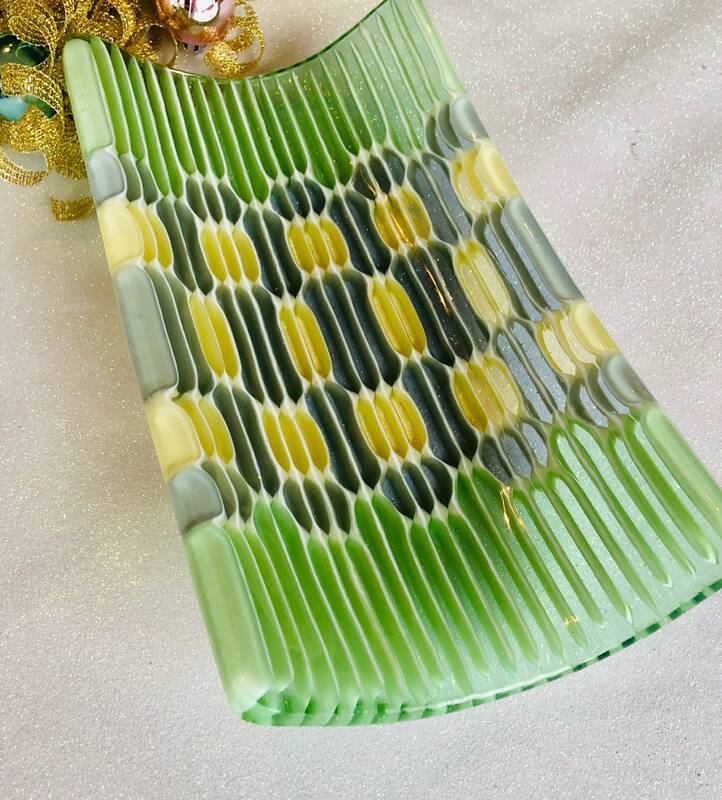 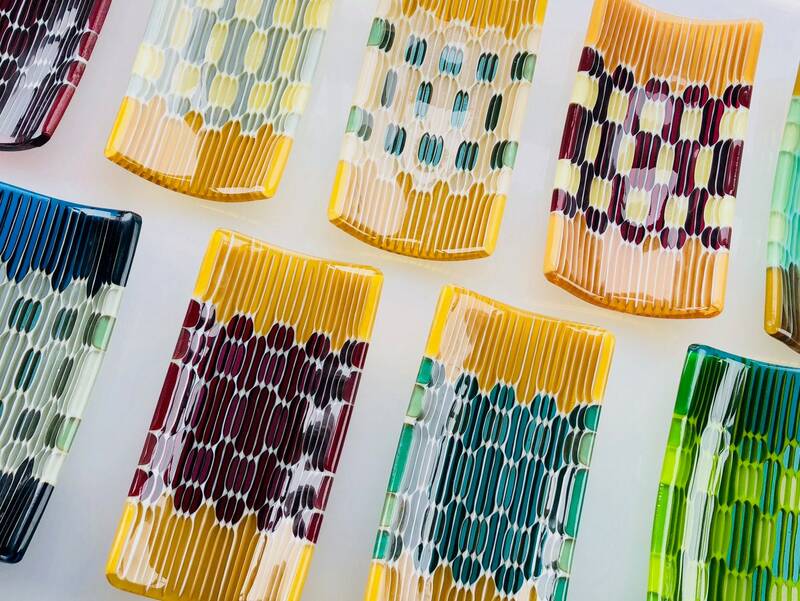 The lovely soft palette of this fused glass rectangle tray will brighten your dinner table or your kitchen counter top.